Corsair®, a worldwide designer and supplier of high-performance components to the PC gaming hardware market, today announced the Professional Series™ HX1050 and Professional Series Gold AX650 high-performance power supplies. The Professional Series HX1050 delivers 1,050 watts of continuous power and joins the Professional Series HX1000, HX850, HX750, and HX650. The Professional Series HX1050 is 80 PLUS Silver certified, with a rated 90% efficiency at 50% load. The Professional Series Gold AX650 delivers 650 Watts of continuous power and joins the Professional Series Gold AX750, AX850, and AX950. Like the rest of the series, the AX650 is 80 PLUS® Gold certified, delivering greater than 90% energy efficiency at 50% load. 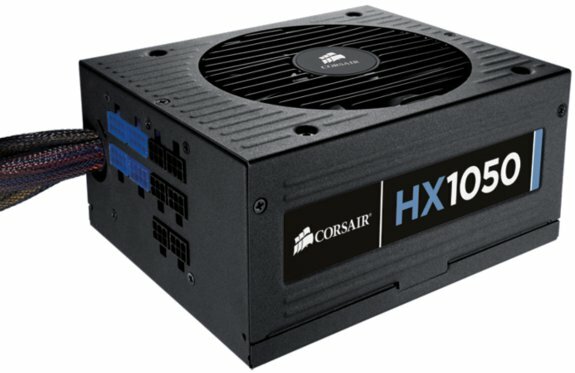 The Professional Series HX1050 is available from Corsair-authorized retailers worldwide for a US suggested retail price of $219 USD. The Professional Series Gold will be available in June from Corsair-authorized retailers worldwide for a US suggested retail price of $169 USD.